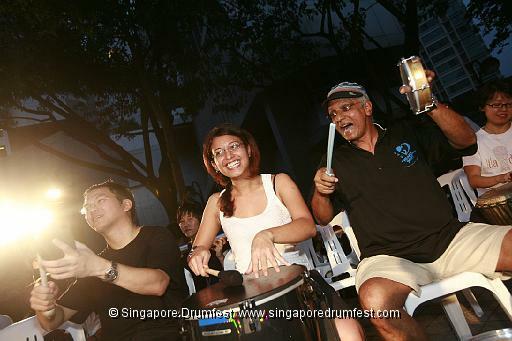 Just after a rain storm, a powerful drum beat was heard in the streets of Orchard Road in Singapore as drummers from three organizations came together for a powerful drum parade to the kick-off event of the Singapore Drumfest. 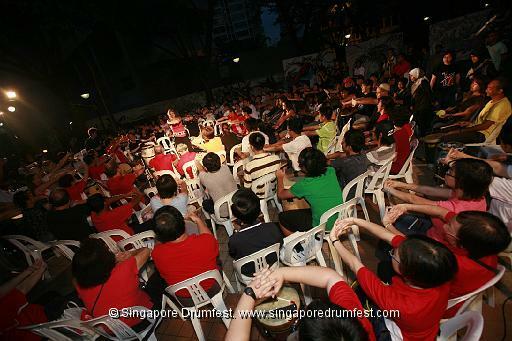 One Heart Beat, a leading drum circle company in Singapore www.oneheartbeat.com the Kallang Community Drumming Club, and the Strikeforce, www.myspace.com/strikeforce.sg an active drum ensemble that ‘thinks & play’ out of the box, were among the participants in the drum parade. 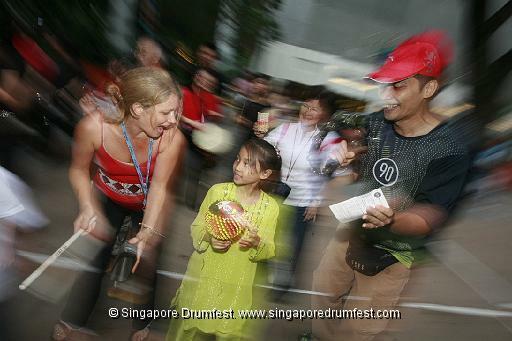 The parade generated excitement on the busy shopping streets and drew crowds into the upbeat community building activity of the drum circle. Another opportunity to have some fun with some drums! 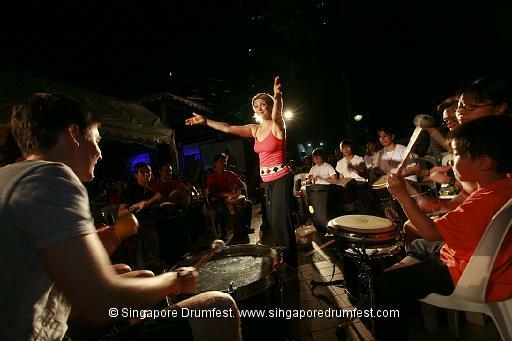 The highlight of the event was dancing from 90 year old senior member of the Kallang Community Drumming Club, topped only by a drum call and response series by a 9-year old drum set protégé, Ethan Ong, who later performed for the crowds as part of the ensuing Drum SHOW. Drums put away, the crowd moved their chairs over to a stage area and enjoyed a two-hour performance of drum set players, bands, and the Strikeforce! After an evening of incredible drumming and performances, all the participants left uplifted and more appreciative of the power of drumming as a tool for community building and empowerment of the human spirit. After an evening of incredible drumming and performances, all the participants left uplifted and more appreciative of the power of drumming as a tool for community building and empowerment of the human spirit. 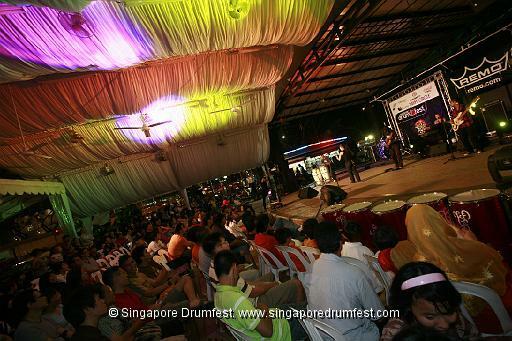 This event is organized by Singapore Drumfest and partnered by REMO Inc.